Is Paying Tuition One of Your Goals? Soccer, or European football, is fast becoming one of the most popular sports in the United States. From neighborhood pick-up games to high school soccer clubs, the game is attracting more players every year. College level soccer, like football and basketball, has a devoted following in the U.S., and schools are always on the lookout for exceptional players to bring to their campuses. For the outstanding soccer player, that can mean valuable scholarship opportunities. The majority of soccer scholarships, like those for football and basketball, are regulated by the three national college athletics associations. The NCAA, NAIA and NJCAA set limits on how many full ride scholarships can be offered for both male and female soccer players in any given division. This makes soccer scholarships highly competitive, and only the very best players will be in line for an award. Soccer players looking to turn their talent on the field into money for college need to start thinking about scholarships during their second or third year of high school. This is the time to start researching different colleges and universities, and contacting their soccer coaches and financial aid officers. Getting recruited for a college soccer team takes time, and students will need to work closely with their high school coaches preparing demonstration videos, setting up interviews and generally getting the attention of college recruiters. The National Collegiate Athletic Association (NCAA) was founded more than a century ago. Its operating principle is to protect the interests of student-athletes, and to regulate all aspects of competitive sports at the college level. The NCAA consists of three divisions, which determine the rules by which colleges can recruit players and award athletic scholarships and grants. All NCAA colleges and universities are bound by the regulations of their division, and will be severely penalized for any infringement of those rules. There are 198 men’s soccer programs, and 320 women’s soccer programs in Division I. NCAA Division I schools include Baylor University, Purdue, the University of Florida and Michigan State. These are the powerhouse schools in all of college athletics, and only the most exceptional soccer players will score scholarships from these colleges and universities. The NCAA strictly regulates the number of scholarships that each school in Division I can offer. Women’s soccer programs are capped at 14 full tuition scholarships, while men’s soccer programs are limited to 9. These are full ride scholarships, and coaches may choose to divide them up however they wish. For example, if a coach has 14 full ride scholarships to award in the women’s soccer program, they may choose to recruit 28 players, offering only a partial scholarship to each. In this way, Division I colleges can stretch their scholarship limitations to include a greater number of players. Division II schools are comprised of smaller public universities and private colleges. There are 179 men’s programs, and 227 women’s programs in Division II soccer. Each school is limited to 9 full ride scholarships for both their men’s and womens teams. Just like Division I programs, coaches can divide their allotment of full ride scholarships into a greater number of partial tuition scholarships. This is a common practice amongst Division II schools, as it allows coaches greater flexibility when recruiting players. Division III colleges are typically smaller than their Division I or Division II counterparts, and as such place a greater emphasis on academics than on athletics. That being said, there are 410 men’s soccer programs, and 424 women’s soccer programs in Division III. That’s an impressive number of soccer programs. However, NCAA regulations restrict Division III schools from offering soccer scholarships of any kind. That does not mean that Division III schools are not looking for exceptional soccer players. What it does mean, however, is that Division III schools are looking for talented soccer players with firm academic backgrounds. Division III schools routinely offer general scholarships and grants to academically talented students who have excelled at high school soccer as an extracurricular activity. In this way, Division III schools can build successful soccer teams while bring the best and brightest academics to their campuses. The National Association of Intercollegiate Athletics (NAIA) offers student-athletes an alternative to the larger NCAA colleges and universities. NAIA colleges may not have the high profile of NCAA schools, but they do offer a large number of scholarship opportunities for students who are as interested in academic pursuits as they are in athletics. Students who are more interested in earning a degree than in pursuing a professional career in soccer may find that NAIA schools offer a way to turn their talent on the soccer pitch into much needed money for college. Like the NCAA, the NAIA closely regulates the availability of athletic scholarships at member schools. There are 218 men’s soccer programs, and 223 women’s soccer programs in the NAIA. Each member school is restricted to 12 full ride scholarships for both the men’s and women’s teams. Again, these scholarships can be divided up as the college and its coaching staff sees fit. Partial ride soccer scholarships are common at NAIA schools, as they allow coaches to recruit a wider range of players for the school’s teams. The National Junior College Athletics Association (NJCAA) is the regulating body that oversees athletics programs at community colleges and junior colleges throughout the country. Many student-athletes fail to consider the scholarship opportunities that may be available to them from these two-year colleges. Junior colleges and community colleges offer an intermediary step for students who may not be prepared to go directly to a four year college or university. Many junior colleges offer soccer scholarships for talented students who are pursuing their education at the community college level. As with the soccer scholarships endorsed by the NAIA, these programs offer much needed financial assistance to students who may be more interested in pursuing a degree than a career on the soccer field. There are 136 men’s soccer programs, and 118 women’s soccer programs at the junior college level. The NJCAA restricts each member school to 18 full ride scholarships for both their men’s and women’s teams. Again, these scholarships can be divided up as the college’s coaching team sees fit, and many junior colleges opt for partial soccer scholarships as a way of attracting more student-athletes to their campuses. Talented high school soccer players who want to turn their ability on the field into funding for college will need to work hard to garner the attention of college recruiters. Unlike academic scholarships, the process isn’t as easy as simply filling out applications and submitting test scores and letters of recommendation. Students will need to work closely with their coaches to select schools with the most suitable soccer programs, and to notify recruiters of their intention to apply for a scholarship. Then, recruiters will research the students performance history, as well as their academic history, in order to select candidates for their school’s scholarship program. It is a long process, and few students make the cut. 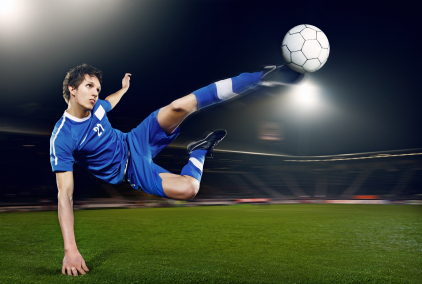 But if you feel that your talent on the soccer field may be your ticket to a college education, the time to start planning is early in your high school career. Speak with your coaches and guidance counselors, and discuss your plans to pursue a soccer scholarship for college. With their help, and a lot of hard work, you too may be able to turn your talent for soccer into money for college.